I loved the atmosphere for this Inn, very homey and warm. The free breakfast was amazing! The staff were very friendly. Where to find Kentville hotels near an airport? Where can I find hotels in Kentville that are near tourist attractions? 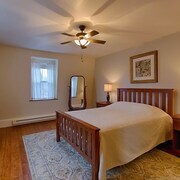 Are you traveling in Wolfville and looking to reserve an apartment or hotel in or around Kentville? 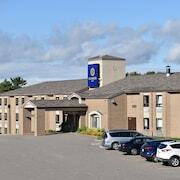 About 3 Expedia-listed hotel and apartments are located within 0.1 kilometres (0.06 miles) of the center of Kentville. There are a range of hotels that are within a 5-kilometre (3-mile) radius of Kentville's city heart, including the Slumber Inn and The Greensboro Inn Motel. 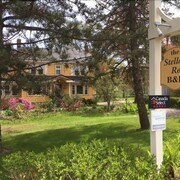 7 kilometres (5 miles) away from downtown Kentville, is the Old Orchard Inn & Spa. 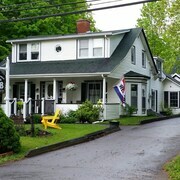 The Micro Boutique Living Wolfville is positioned 11 kilometres (7 miles) away. 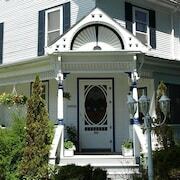 Two other Expedia-listed places to stay in the Kentville area are the Rayski Guest House and the Farmhouse Inn. 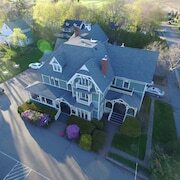 While you are in Wolfville you can make a visit to the Mermaid Theatre of Nova Scotia and stay the night in Windsor, which is 30 kilometres (18 miles) to the east of the heart of Kentville. Choose from the Super 8 Windsor and Downeast Motel. Get your fix of local sport with a visit to Halifax Metro Centre, which is 85 kilometres (54 miles) to the southeast of Kentville. Sleep near the action at the Halifax Marriott Harbourfront Hotel or the Residence Inn by Marriott Halifax Downtown. Stanfield International Airport is a nearby airport, and can be found 80 kilometres (50 miles) away from Kentville. 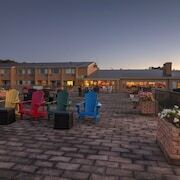 Accommodation options nearby include Holiday Inn Express Halifax Airport and Hilton Garden Inn Halifax Airport. 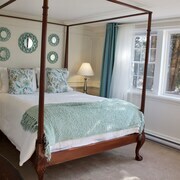 What are the most popular Kentville hotels? Are there hotels in other cities near Kentville? 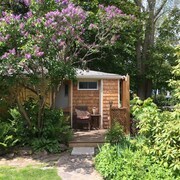 What other types of accommodations are available in Kentville? Explore Kentville with Expedia.ca’s Travel Guides to find the best flights, cars, holiday packages and more!